At our Fort Collins dog training school, we are proud to work with both rescue dogs and pure breeds, and we have found that both are equally trainable. However, shelter dog training takes a special kind of approach, and with our experience and knowledge, we have become experts in training rescue dogs. Unfortunately, many shelter dogs come with a past of abuse or seclusion that can affect their behavior dramatically. 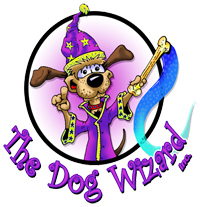 At The Dog Wizard, we work with your dog in order to understand this past, and with you so that you can better understand why your dog has been acting a certain way. The good news is that dogs are resilient, loyal, and loving by nature, so almost all of the problems from their past can be worked through with the proper training. If your dog has a history of abuse, he will be hesitant to trust you or any other human. Because of this, we have to work extra hard in order to earn that trust back. It is important to remember that not all abuse is physical. So many dogs that come to us have been victims of severe mental abuse, usually caused by neglect or a lack of proper socialization. Abused dogs will typically suffer from chronic anxiety because they haven’t experienced positive socialization. This means that they will become a wreck when even the simplest routine is changed, especially when meeting new humans they aren’t comfortable with or going to unfamiliar places. Many times we see owners suffering because their dogs are too anxious for them to leave the house. They become chained to their pets because they are their dog’s only source of consolation. At Fort Collins Dog Wizard, we specialize in training abused dogs, giving them a confidence they haven’t had since they were puppies, and introducing both owner and dog to a whole new world of possibilities. Completely opposite of our scared and abused dogs are misbehaved rescue dogs. These pets have been moved from home to home, rescue to rescue, because they haven’t had the proper training and are too misbehaved to qualify as a “good dog.” These dogs also lack trust in humans, but this is displayed more by running away, trashing your home, jumping on your guests and you, and chewing on everything in sight. Because they haven’t had a consistent owner, they associate this type of behavior with attention, and so it just continues to worsen. With the right shelter dog training, you’ll be amazed at the difference. Contact us today and get the dog obedience training that you need and your dog deserves.